Holidaying in a ‘green’ way used to mean camping in a field surrounded by cow manure. How times have changed! The emergence of eco-chic holiday homes means that now you can play your part, respecting the planet, whilst relaxing in comfortable or even luxurious surroundings. 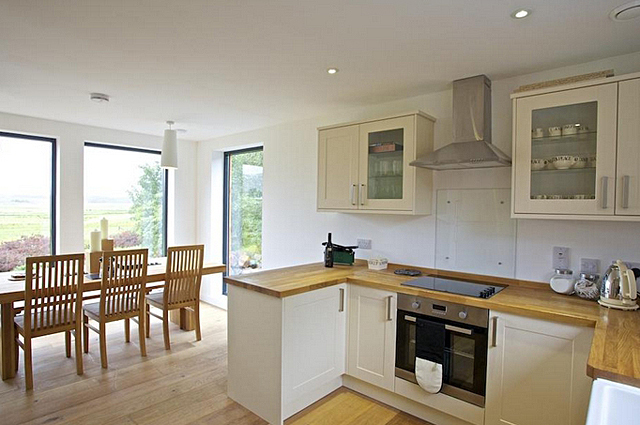 Here’s five of our favourites from one of the UK’s best vacation rental sites, Holiday Lettings. 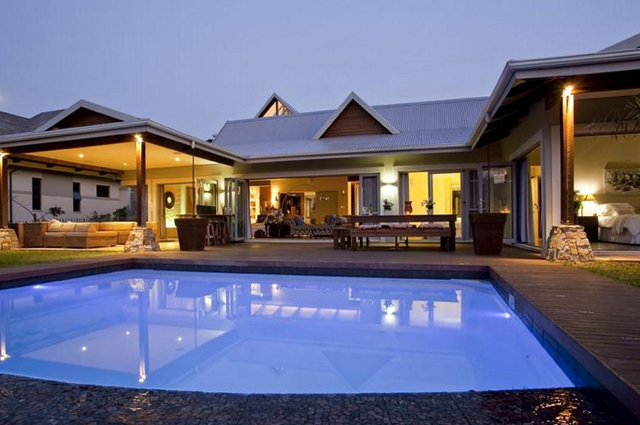 This stunning South African home, with all mod cons and a private heated swimming pool, is close to the beach and a great base to explore the game parks. 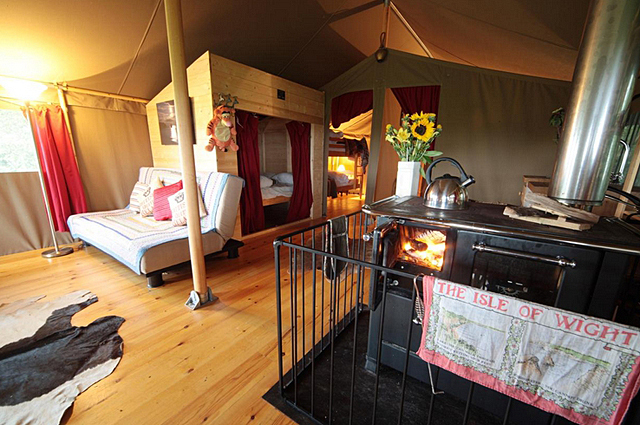 Relax in one of 5 luxurious safari tents on the Isle of Wight! Located in the glorious surroundings of Tapnell Farm, these eco-lodges provide the comfort of a cosy home, in the perfect setting for an eco-friendly adventure. Rent all 5 safari tents for groups of up to 40 people. 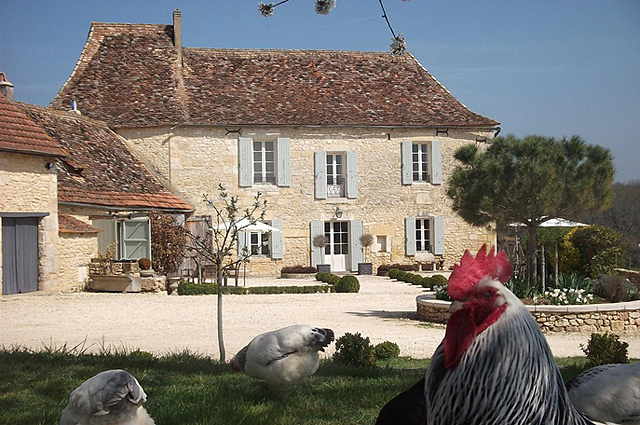 We’re visiting Dordogne in April – I cannot wait!! Have a brilliant time and take lots of photos – such a lovely area. Going by looks and first impressions, that French farmhouse (Manor de Rigal) caught my eye as a place I’d like to stay someday. And if it’s eco-friendly, all the better. A popular choice Lee and as you say all the better for being eco-friendly. They all look lovely and of course as the more aware we become of this type of travel, the better. I love stonework, so am especially drawn to the French farmhouse. For those of you who don’t realise, if you get up close and personal with a hen, don’t wear red lipstick! 🙂 Great read, thanks Kathryn. These are great examples of how luxury and wow factor remain even if you’ve picked an ‘eco-friendly’ place to stay – in fact reading these, even more impressive as a result!! I would love to see hotels really take account of this and do more than leave guidance on where to put towels if you want new ones!! UK listed groups (plc’s) now have to report publically on their carbon emissions, no doubt hotel chains will fall into this either in the UK or elsewhere – it will be interesting to see what they say and what changes!! I couldn’t agree with you more! My biggest bugbear for a long time was hotels leaving every TV, in what could be hundreds of rooms, all on standby! At least now modern TVs don’t use up as much power as they did (even on standby) but it used to drive me mad! And don’t get me started on towels in hotels…. you leave them hung up because you don’t want them changed and they change them anyway! Those are all very nice destination homes to visit, I think my favorite in terms of lifestyle and aesthetic would be the last home, but then who wouldn’t want to stay in an amazing home like that? 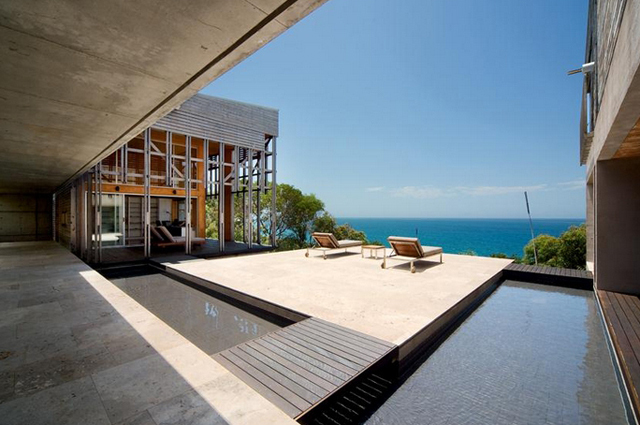 I like the look of that property in South Africa especially. Seems ideal for a large family gathering. These all look excellent options for a relaxing getaway but I am certainly drawn to the Australian eco-palace that just looks to be set in a perfect paradise. We were in Brisbane for our honeymoon, January 2013 and had a great experience there so it would be awesome to go back to Queensland just to sit back, relax after a long flight and take in the ocean views from that deck. I think we are going to see a lot of countries adopting this new eco-friendly approach with their accommodations and although I personally feel it will take a while for many of these to take off, likely will need some of the leading brands and hotel chains to pick up on this, it is certainly appealing for folks who have that mindset – unfortunately not everyone does and many will still go with that cost-effective approach. I’m sure I fall into that category but there is nothing wrong with at least considering these other options available to us and if we all did our part, we would make our globe a much healthier and sustainable place to live. Your quite right Chris, eco-friendly isn’t always wallet-friendly but that isn’t always the case and no matter what your budget we should all have a good look at our options and play our part, wherever we can, in protecting this beautiful planet.